[Listing] Fun Home by Pangdemonium! To round off their 2017 Season, Pangdemonium is performing FUN HOME, the stunning musical about a family that’s nothing like yours and exactly like yours. Based on Alison Bechdel’s best-selling graphic memoir, the piece interacts with Bechdel at three different ages. Moving between past and present, it reveals her unique childhood, a growing understanding of her own sexuality and how she handles her uniquely dysfunctional family. FUN HOME is a gripping portrayal of a daughter’s determination to connect with her volatile, brilliant father whose temperament and secrets have defined her family and her life. “FUN HOME is an exhilarating, heart wrenching, and moving musical which will resonate with anyone who has ever felt different, even within their own family. The story—based on real life experiences of Alison Bechdel—is a roller-coaster of comedy and tragedy, and the songs are sublimely beautiful. Be prepared for a truly unique and unforgettable musical theatre experience.” said Adrian and Tracie Pang, Artistic Directors of Pangdemonium. 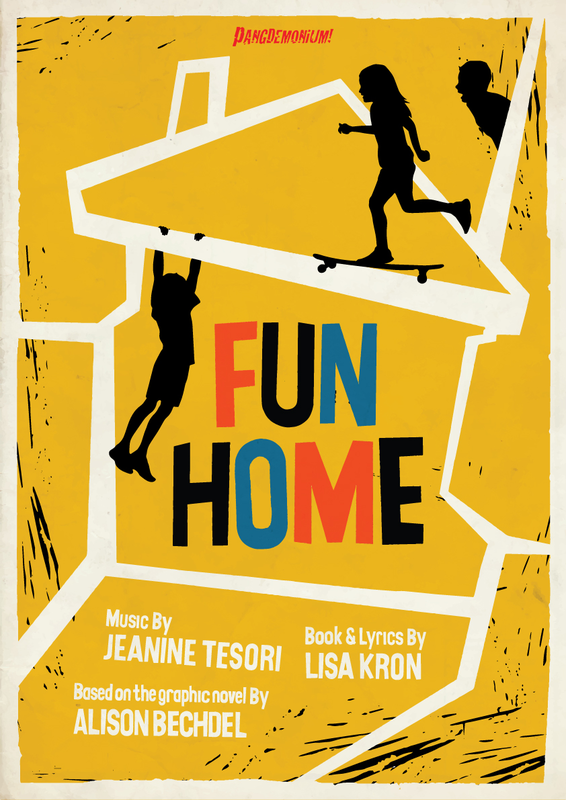 Winner of five Tony Awards, including Best Score and Best Book, the haunting melodies of Jeanine Tesori and poetic lyrics of Lisa Kron set a foundation for this refreshingly honest musical. Starring Adrian Pang, Monique Wilson, Nikki Muller, Elena Wang, Benjamin Kheng, Gail Belmonte, Chloe Choo, Elly Gaskell, Aria Zhang, Damien Weber, and Bjorn Haakenson. Named Best Musical of the Year by the New York Times, FUN HOME is a daring and innovative work about seeing your parents through grown up eyes. The Singaporean debut of this intimate and emotional theatrical experience is not to be missed! FUN HOME runs from 29 September–15 October at the Drama Centre Theatre, Rated R18, Tickets from Sistic.